This was an absolutely cracking read set during the period of the English Civil War. It had robbery, treachery, danger and romance and had me turning the pages at speed to find out what was going to happen next. 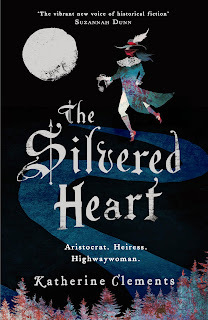 The story starts in 1648 with Lady Katherine Ferrers en route to her arranged marriage to Thomas Fanshawe when she is held up by a highwayman, thankfully he doesn’t take the lucky silvered heart that hangs around her neck. I could feel Katherine’s fear and could almost smell the rotten breath of her assailant through the brilliantly crafted words. When fleeing from the robbery scene, Katherine leaves her wedding dress lying in the mud. This means that she has to get married in a borrowed red gown, a colour that Rachel, her maid and friend, worries is unlucky. Katherine soon finds herself trapped in a loveless marriage to a man she hardly knows; she has been married for her fortune which is quickly plundered in support of the king. During this time of uncertainty in England’s history, Cromwell’s men can arrive at any moment demanding payment for Parliament and Katherine finds her coffers running low. She rolls her sleeves up and helps with the house while her husband is away in London, frequently dreaming of Markyate Cell, her ancestral home. It is during a clandestine visit to Markyate Cell that she encounters a bloodied stranger, the highwayman Rafe Chaplin. 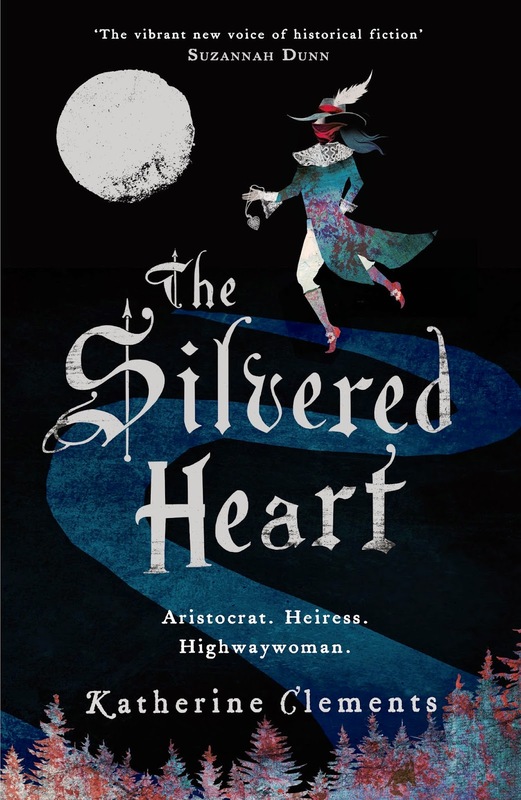 Katherine joins forces with Rafe to obtain funds in order to keep her household running and ultimately becomes known as the infamous highwaywoman, The Wicked Lady. I adore historical novels such as this; there are just enough facts based on real people and events to make you forget it is a work of fiction. Katherine, Rafe and Rachel’s stories kept me on the edge of my seat at times and there were a few twists along the way to the tragic ending. I loved the way that the story began with Katherine desperate to keep her precious necklace during the robbery and ending with the reappearance of the necklace in the epilogue set 26 years later in 1674. Living close to the Northumbrian coast myself, I was also delighted at the mention of Craster in Northumberland and like to think that Katherine eventually found her way there or somewhere similar. An absolute masterpiece, I was hooked from the first page and couldn't put it down! Without hesitation I have added Katherine’s debut novel, The Crimson Ribbon, to my must read list.